Explore biology, microbiology, anatomy, and physiology in this exciting pre-med study! In Advanced Pre-Med Studies, students in grades 9 - 12 will discover the intricate design of the human body, explore medical history, and unlock the code of life. Through intriguing texts, mini-biographies, historical perspective, worksheets, illustrations, and more, students will explore the human body from genetics to bones to surgeries as they discover a powerful array of sciences and medical advances! If you order "Advanced Pre-Med Studies (Curriculum Pack)" today, you will receive "Created & Called"-- a $12.99 value-- FREE with your order! In Building Blocks in Life Science, students will study clear biological answers for how science and Scripture fit together as they discover how to defend their faith through science! Students will explore genetics, embryonic development, DNA, the roll of natural selection and more as they gain insight and clarity to the created patterns of order in living things. Describe the designed structures and purposeful functions for each of the microbial systems. Explain the origin of disease from a creation, biblical perspective. Provide examples of microbiologists who have held a creation or intelligent design perspective. Explore basic anatomy and physiology in each of the 11 body systems through a Biblical worldview in Body by Design! Students will investigate the wonder, beauty, and design of the human body while examining disease, discoveries, and the past and present scientists and physicians who have made remarkable breakthroughs in the study of the human body! In Exploring the World of Medicine, author John Hudson Tiner reveals the spectacular discoveries that started with men and women who used their abilities to better mankind and give glory to God as students explore the fascinating history of medicine! Through Biblical perspective, intriguing historical accounts, facts, mini-biographies, vintage illustrations, and more, students will discover the first physicians, the father of modern surgery, how mortality among young mothers decreased through hand-washing, the discovery that made surgery painless, and so much more! 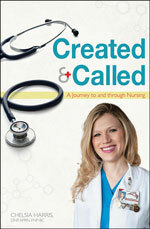 Created & Called - Nursing is more than a job or career. It is a very special calling! Have you ever wondered: “What are my gifts? What exactly is God calling me to do with my life?” Although the profession of nursing has the ability to provide a comfortable income, it’s more than a salary. Money is a temporary earthly treasure. However, eternal rewards are reflected when a nurse aids in the alleviation of a patient’s pain, leads a dying patient in a prayer of salvation or has the opportunity to assist in the welcoming of a new life into this world.